Originally posted on Sunshine Coast Daily. ALL Sunshine Coast schools, pre-schools and child care centres in the region are invited to join in Storytime on April 12-13. The book to be read is Josh Gets Lost, that is written and illustrated by local author and artist Peter Rowe. Peter has written four books in the Josh the Robot series. 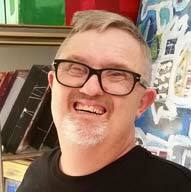 What makes his achievements particularly unique is that Peter has Down syndrome and “speaks” through facilitated communication. Facilitated communication is a system that allows Peter to tap out his words on a special board, while a facilitator speaks the word and a scribe writes them down, making the series a team collaboration. Service Delivery Councillor Paul Tatton said storytime was a great way to encourage children to participate in storytime activities across the region. “Josh gets lost is a heart warming story about teamwork, friendship and finding your way home, sure to appeal to many of our local young readers,” he said. “This is the first year that we have held a special storytime only for the Sunshine Coast, and the initiative highlights the importance of reading and literacy, and encourages a love of books in young people. “The initiative will help reconnect young people with libraries and offer great opportunities for family interaction. The art created by Peter for these works is very special. Peter draws extremely large outlines of images, before a graphic designer shrinks them down to book size. Peter then decides which of the textures will be used and the graphic designer helps position it on the drawing. This unique collaboration has made for truly stunning imagery, that accompanies stories with positive messages that are sure to delight young readers. 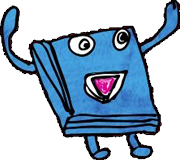 Sunshine Coast Storytime will take place at Sunshine Coast Libraries on Tuesday April 12 and Wednesday April 13. 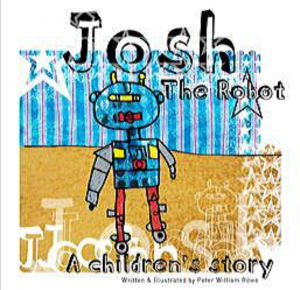 Copies of Josh the Robot, Josh Gets Lost, Josh Meets Robot Cool, and Josh and the Little Wizard are all available for purchase through Sunshine Coast Libraries eShop.